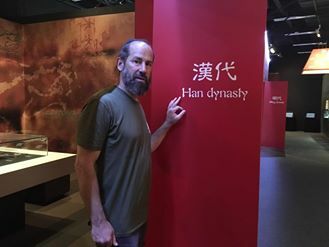 Moshe Katz in Hong Kong, trying to learn a little of the local history and language. I recall my brown belt and black belt tests with Itay Gil. I had my ups and downs, I took a round-house kick to my head, I took a sharp upper-cut to my ribs. I still have the damage from those blows. One thing Itay stressed was...Never give up. Never give up, that is the secret to success. I will say it again, never give up. My father of blessed memory was the same way, we face many obstacles, each one can take us down, but we must always remember, never give up. That is a lesson we must never forget, if we wish to succeed, at anything. I was in Hong Kong recently, only for a day. Yet, as is my habit I make an effort to learn a little of the history and understand the culture. I also learned a few words in Cantonese. Now you might ask what is the point of learning just a few words. After all I was still not able to carry on a conversation. However it did in fact make a difference and I was pleased to be able to use my words on several occasions, but there is more to this. I was in Hong Kong for less than 24 hours but already was able to pick up pieces of conversations around me. At the airport I met the Israeli El Al security person and chatted briefly. She said she is currently living in Hong Kong. I said, Oh, what a challenging language, have you learned some Chinese? Her answer surprised me. She said, "Oh no, I have given up hope in advance". This little statement symbolizes weakness and explains why some people will never get ahead in life. Yes, learning Chinese is a challenge, no doubt about that, but I have known enough Westerns who have done it to realize that it is not impossible, if you really want to or need to. To say I have given up hope in advance is to say I am not willing to even try. The task looks difficult so rather than try and fail I prefer to give up hope in advance and avoid failure and disappointment. Why test for black belt? Just give up in advance. Why try to organize a Krav Maga seminar? It looks challenging, just give up in advance. If Dr. Herzl and the early Zionists had this attitude, if the Jewish people had this attitude, we would certainly not be in Israel today. No challenge is too great. Dr. Theodore Herzl, founder of the political Zionist movement said, "If you will it, it is not a dream". And that is why we visit his grave on our Tour and Train program. This program is not only about learning the techniques of Krav Maga but also the spirit behind it. The techniques alone are not enough. If you have a dream, never give up on that dream. Never give up. It is never too late to learn something new. 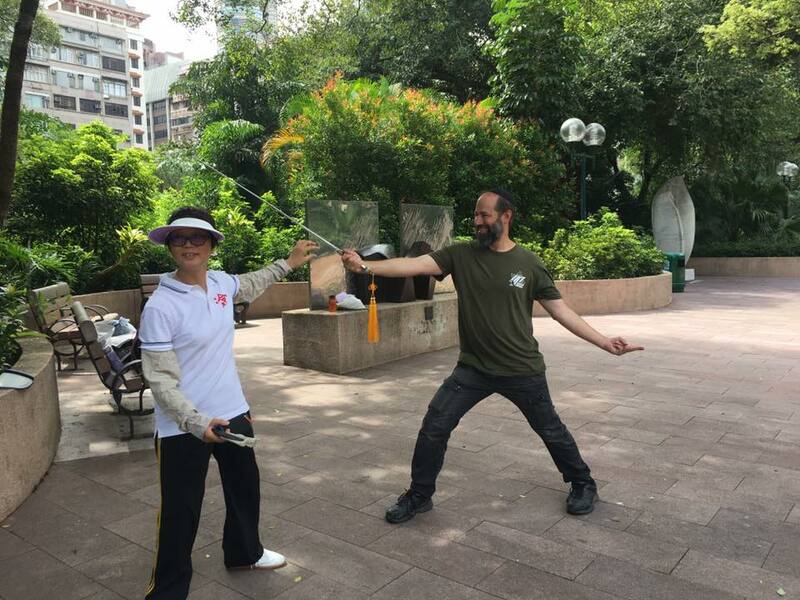 Tai Ji in Kowloon Park, Hong Kong. 谢谢! TNT = Tour and Train. It's dynamite. Learn your own hand. Unlock your potential. Study Krav Maga in its native land. Train with students and instructors from around the globe. Possibility for rank testing, Instructor certification. For more information Krav Maga Tour and Train Israel experience. For those who only want to train we are also planning a training session without touring.